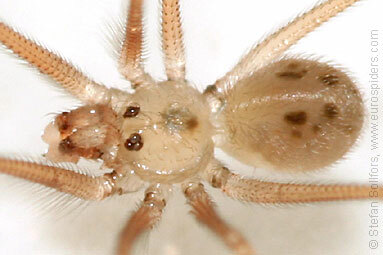 Close-up of male Spermophora senoculata spider. 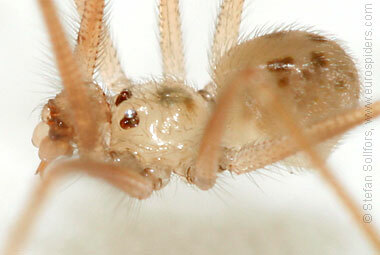 The six eyes are divided in two groups of three. 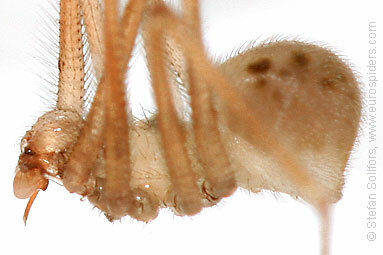 Side view of a male Spermophora senoculata spider. 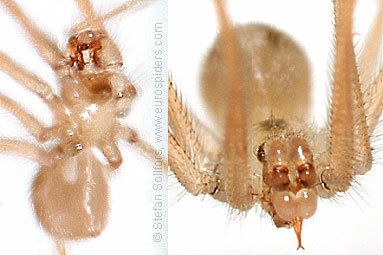 Male Spermophora senoculata spider from below (left) and front (right). 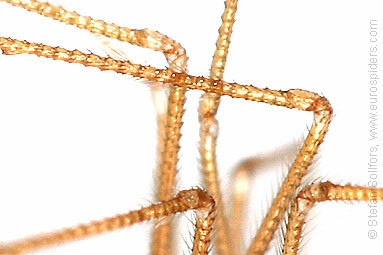 Legs of a male Spermophora senoculata spider. 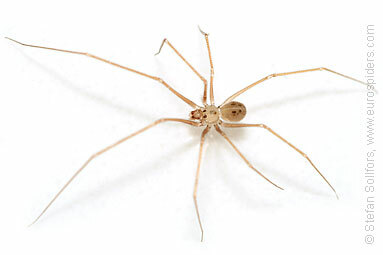 Spermophora senoculata. Common inside houses in southern European countries.